To add to these challenges, security and surveillance solutions in the mining industry also need to be able to account for the threat of security breaches, occupational health and safety on-site, and strike action that has almost crippled the industry on occasion in recent years. All this while having to provide clients with a tangible return on investment on their surveillance security investment. Cathexis offers video management system (VMS)/IP video management software and video security solutions to satisfy all surveillance requirements. Sophisticated features and integrations that empower security systems across a wide variety of market sectors. 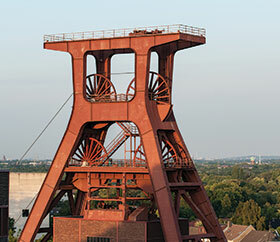 In its design of surveillance solutions for the mining sector Cathexis Technologies has taken its IP video management platform, CathexisVision, taking into account the strict requirements of the mining industry, and adapted its solution to address these and provided clients with a comprehensive solution to protect their assets. One of Cathexis Technologies’ key clients in recent years has been AngloGold Ashanti. Headquartered in Johannesburg, AngloGold Ashanti is the second largest global mining company with 19 gold mining operations based in nine countries, as well as several exploration programmes in both the established and new gold producing regions of the world. AngloGold Ashanti’s African operations include numerous mines and plants across Africa, with locations in South Africa, Ghana, Tanzania, and Guinea. Over the course of the past 16 years, the relationship between Cathexis Technologies and AngloGold Ashanti has seen more than 2 500 CCTV cameras deployed across these locations, as well as the implementation of the CathexisVision software. The relationship between Cathexis and AngloGold Ashanti came about as a result of the mining operator’s need for an all-encompassing security suite that could ensure the smooth running of operations simultaneously across international borders. CathexisVision’s unrivalled integration capabilities, as well as its powerful analytics functionality saw the security suite adopted across numerous African locations. CathexisVision provides a management tool that enables operators and managers to function in a multi-tiered control environment with multiple CCTV cameras installed on different sites and locations. The system manages these multiple sites from a central command centre. • Video analytics that provide triggers based on certain events or actions to the system and enable user-defined action. • Integration that enhances the effectiveness of the system by enabling predetermined actions based on information received from integrated third-party systems. • X-ray systems and plant management systems. • The interactive graphical interface provides a visual representation of one mining site or multiple sites. Users can also navigate multiple sites throughout the enterprise with the map facility. • Health monitoring provides continuous monitoring of all the components, including hardware and software integrity, and provides automated warnings of any possible impending failure. This allows maintenance engineers to perform corrective maintenance before the system fails. One of the major requirements of the CathexisVision installation at the AngloGold Ashanti mining sites has been the need to upgrade the CathexisVision software on an annual basis to ensure that the installation is always kept up-to-date with the latest international trends and developments and that the surveillance system is reaping the full benefits of the very latest CathexisVision features. Given that Cathexis has worked with AngloGold Ashanti for just over 16 years, this has necessitated the need to migrate an analogue CCTV system into a digital, networked solution, as per global market trends. However, given the significant investment in surveillance systems, Cathexis is able to apply its technology and integrate with existing analogue systems, bringing them up to speed with the latest IP technology. In addition, CathexisVision supports most popular brands of IP cameras, using both ONVIF or proprietary protocols. “Working with the security management team from AngloGold Ashanti has been a significantly rewarding experience,” says Gus Brecher, MD of Cathexis Africa and business development director of Cathexis Technologies. “AngloGold Ashanti is one of the most forward-thinking and innovative organisations operating in the mining sector today, and with a willingness to embrace the features and competencies provided by the CathexisVision Technology, we’ve had an exceptional opportunity to demonstrate the effectiveness, efficiency and true capabilities that the CathexisVision software suite provides,” he concluded.